Children’s Ministry Director Jenny Reed has been serving at Emmanuel since October 1, 2009. She is married to Jeff, who is a Business Analyst at SEL. They have three sweet children, Mya, Troy and Hailey! She began attending Emmanuel in 2005. Her role in Emmanuel is to encourage, support, oversee and develop current and new children’s ministry programs offered for children birth to 5th grade. 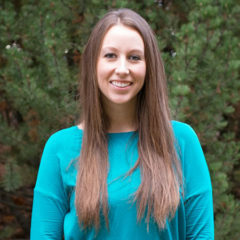 Jenny’s hobbies include: organizing, planning events, scrapbooking, reading, and spending quality time with her family.